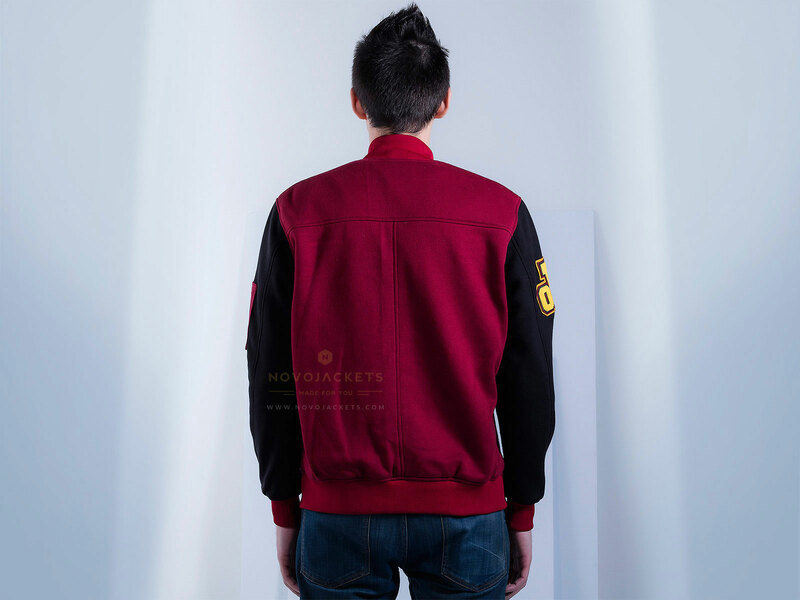 Made to measure custom bomber jacket cotton fleece, this men’s bomber jacket is fresh off the style market this season. Need help surviving this winter? 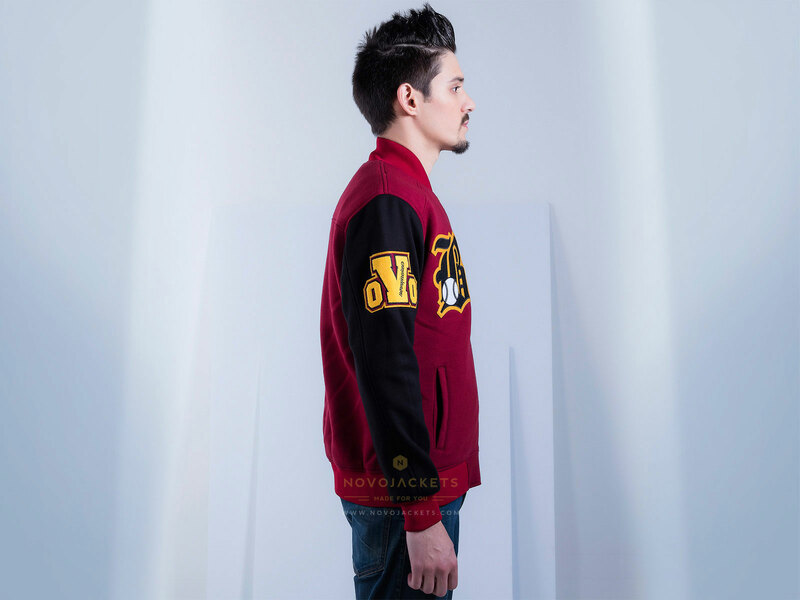 Do it in style with this cotton fleece custom bomber jacket. Made with top quality cotton fleece, it is tailored to perfection, according to standard measurements. Irrespective of your build, it will fit you perfectly and keep you warm at the same time. But feeling a little blue and want something to bring the group back together? Get down to customizing these bomber jackets for a group of your friends and see how incredible you look! Choose from a range of fourteen different colours, your choice of style, designs and embroidery, this is the fashion forward piece to have in your wardrobe this year. There are literally no limits to how innovative you can get with these bomber jackets. The high cotton content fleece used in constructing the custom bomber jacket is the lightest weight, holds colour longer and is very warm. The cotton acts as an insulator, protecting you from the dropping temperatures, the rain and the cold wind. Every single one of our cotton fleece bomber jackets have been equipped with a full frontal metal genuine YKK Zippers are easy to slide up and down, immune to moisture and weather conditions. You can even customize the zippers according to your own taste. Our cotton fleece jackets have a thick and protective inner genuine cotton lining, with 100% real and genuine cotton fibers. They provide you with warmth, comfort and most importantly, it protects the jacket from damage and tear due to harsh weather and rough activities. 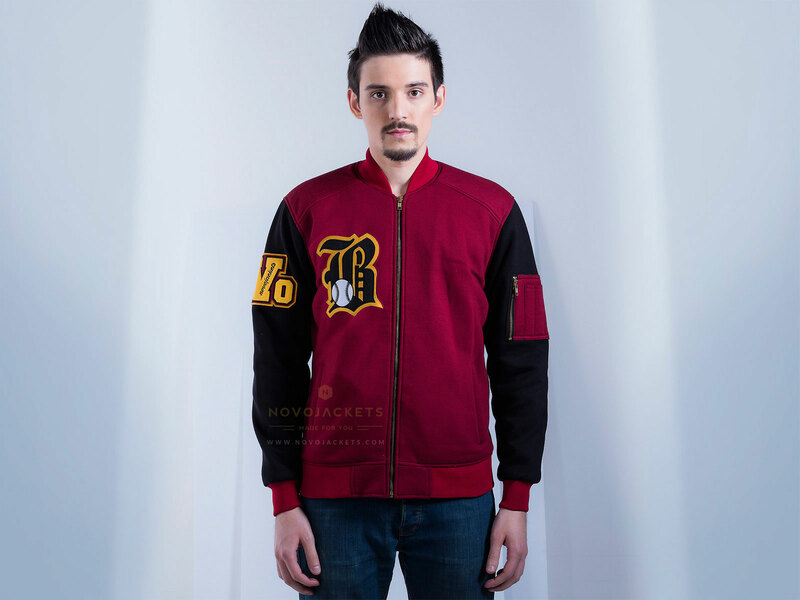 Have a design for the cotton fleece bomber jacket but can’t find anything similar online? Don’t worry, we will do it for you. For the ones who want to go one step ahead and order a jacket for themselves that is specially customized, we have that option as well. Just select whatever colour and style you like. From the body to the sleeves, you can do it all. Also, we suggest that you upload felt patches, special designs, number and logos that you have in mind. Our designers will make sure you get them exactly how you want them.